The Clock Blog: Angry Birds Costume of the Year!!!! Check out our appearance on Logo's New Now Next Awards!! 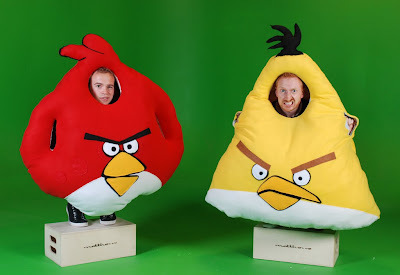 Thanks for checking out our Angry Birds costumes! If you want to know how I made them, click HERE. 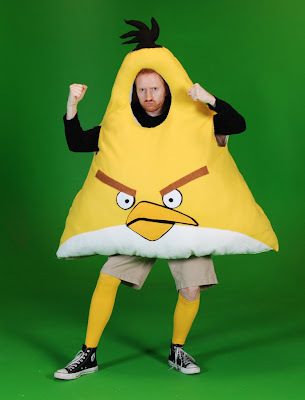 Send me a picture of your finished costume and I'll post it here on the site! 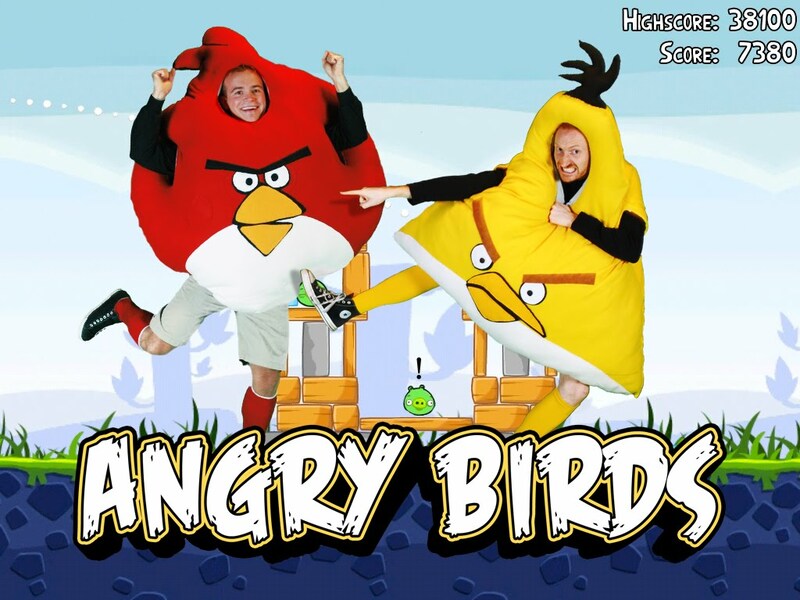 If you want to see our Bert and Ernie costumes from last year, click on this LINK. 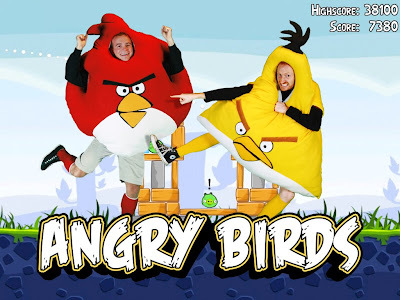 Feel free to leave a comment if you like the costumes. Special thanks to Larry Mosca for the amazing pictures and editing! Love them!!! How do I get one?? How can I get one!!? Need one by Saturday! 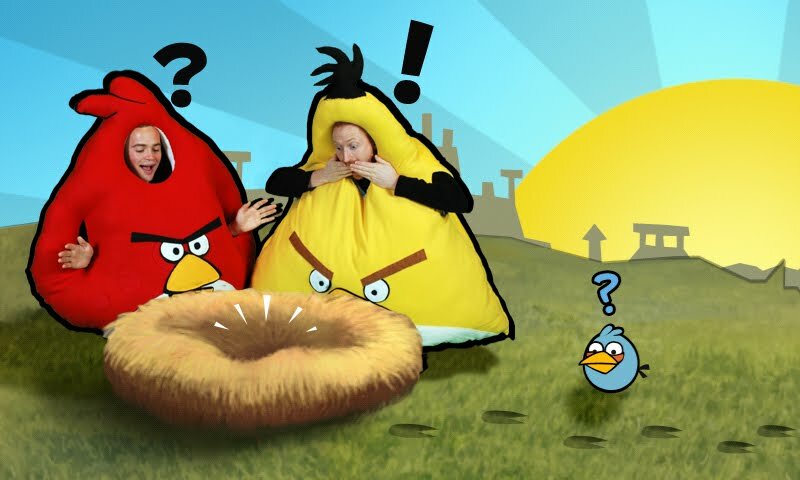 I want to be the little blue birdie!!! Great job!!!! We're working on the Blue Bird and the Black Bomb bird! Will post pictures of all 4 of us together once we're done! These are amazing! I'm going to make my own Angry Bird Costume but it won't be nearly as good. Hi!, my names is Marcelo, I did a small review on my blog (http://maccelo.blogspot.com/2010/10/angry-bird-como-colgarse-del-exito.html). I hope you like. its awesome, can i get one? Thank you, it was very interestingly. 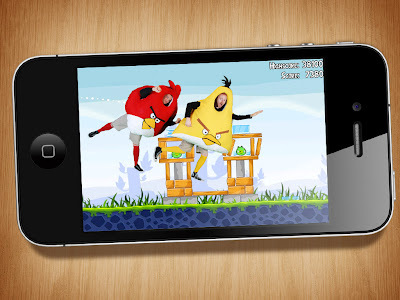 Angry Birds Full PC Version now available. 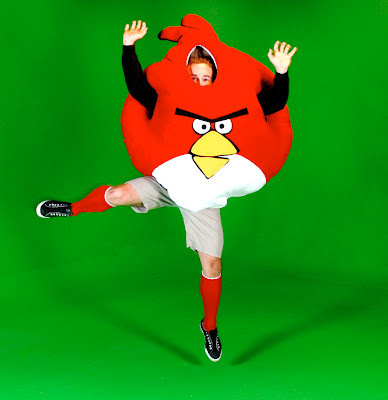 As promissed, here are THE pics of our just finished angry birds costumes!!! I hope you like them....maybe you can post them on your blog? There is Nothing pressing on your head! That's funny, they can't walk, can they? Nice post and I like it. I enjoyed your post and it was very entertaining and interesting. Thank you for sharing. I'm having a bad time, this shock is too big for me. I had given up his great love to come to a decision to divorce. Although very difficult, but I think to accept the truth. My children it affected a lot, we have moved to a new place and is gradually adapting to it. Great Article! Check out my website! In spite of not coming with any extraordinary padding technology, its patented frame is intended to absorb shock and pressure and reduce any stress on your back and joint. An extra feature on this treadmill is the deck manual incline that amounts up to 10 degrees for an extended strenuous exercise. A console of a 3-window LCD display is in charge of displaying the progress you’ve made in terms of speed, distance, calories burned, and time. What makes Phoenix 98836 Easy Up exceptional is the sheer assortment of implicit programs that incorporate variable speed programs, manual program among others.